We’d love your help. Let us know what’s wrong with this preview of Alive at Sunset by Kayla Krantz. Revenge can become an obsession of its own. After her high school experience, Luna Ketz moved on. She’s in college, studying to be a doctor and living an hour away from her old home in Lima, Ohio—where the worst of her memories lie. Three years have passed since her friend Violet’s death and the thought of that day in the woods hasn’t left her mind once. Every week, she vi Revenge can become an obsession of its own. After her high school experience, Luna Ketz moved on. She’s in college, studying to be a doctor and living an hour away from her old home in Lima, Ohio—where the worst of her memories lie. Three years have passed since her friend Violet’s death and the thought of that day in the woods hasn’t left her mind once. Every week, she visits the hospital where Chance Welfrey remains in a coma. She tries to move on…wants to move on…until once again she receives a phone call from Max Cazmea warning her that things may not be over just yet. To ask other readers questions about Alive at Sunset, please sign up. Kayla! You do not cease to amaze me! I confess that I found this part more interesting than Dead by Morning which was the first book in series Rituals of the Night. It held my expectations up and up in the sky and so it stood their, flying. It was an emotional, thrilling and thought provoking ride with the protagonists. Seeing the character rising high whom you abhorred most was something quite unexpected. Its plot has been immensely engaging. Luna has survived the scare of the Book 1. She outlived her terror through the high school. Now is the time for her to move on and in comes a new person in her life Amanda. Things are not working out and Luna has the scare of her worst dreams coming true. It was thrilling to watch all the characters from the first book back with developed attitude. Some new characters were also introduced which were a delight to see. Everything and everyone was exactly as they should be to make this an exciting book. I couldn't think of the things that should be changed in it. The way it was, was perfect. She has the chance to throb the life out of him, but she does not. And that might be the mistake that cost her alles. It was darker, more intoxicating and more involving than Dead by Morning. The ending is the most exciting part. Never could I have guessed so. The author has presented a complete different point of view that many couldn't digest but the methods she applies in convincing you of the ending is commendable. In psychological thriller novels I recently had the chance to read, this one takes the cake. I'm extremely glad right now to have come across this series. This is getting better and better. Didn't see it coming this way! Alive at Sunset takes you to the mysterious and suspenseful world Luna, Max and Chance live. Oh God, this series is so good. Never read something like this. The story unfolds in a dramatic manner and we get to know that Luna is a college student now. Chance is in coma and Max predicts that their issues with Chance has not been resolved yet. They have Kayla, Kayla, Kayla! The story unfolds in a dramatic manner and we get to know that Luna is a college student now. Chance is in coma and Max predicts that their issues with Chance has not been resolved yet. They have to finish it now or never. With lot of strategy and planning, Chance is back with a boom and determination to make Luna's life miserable. So miserable that Luna is thinking what wrong she might have done in her previous life. I told you it is even better than Dead by Morning. But yes, without Dead by Morning, it would not have been such an excellent and thrilling book. The author has successfully fueled your excitement with the first book and now she's about to set fire on the stage! Alive at Sunset and Dead by Morning are one of those books that intrigued my mind very much. Plot, writing style, characters, setting - what should I vouch for? They are were awesome. More importantly, the characters are so believable that sometimes I found myself imagining if it was the story of one of my friends. Kayla does that really well - thrilling her readers. Continuing the drama of Chance and Luna was just as thrilling as it was in the first book. With their "relationship" already developed, we get to see just how crazy Chance truly is as he leaves behind a trail of death that only hurts Luna. I really like the character of Luna and how she is evolving over the course of these two books! The ending brought some closure, but as we know with Chance, that may not last forever. Looking forward to reading the next installment in this series! I was given a copy of Alive at Sunset for an honest review. Kayla Krantz has done yet again, this book lured me into false security only to yank the rug out from underneath me. I found myself asking my significant other if he would come lay down until I fell asleep last night in case a serial killer popped through my window ( he just laughed at me and told me I was a wuss). The second novel in the series starts off at the beginning of summer vacation from college for Luna and her new best friend Amanda. It has been three years since Chance went into his coma and while Luna has started to piece her life back together she still insists on visiting the hospital he is located in once a week to make sure he is still there. It doesn't take long however before things start to feel wrong and Max begins calling her about dreamworld. Chance has woken up and unlike they thought he remembers everything! He resumes making Luna's life a living hell and attempting to kill anyone who means anything to her. I truly enjoyed the plot of Alive at Sunset. Unlike most books, television shows, or films where the plot is predictable because they are not going to kill off the important characters Kayla Krantz has no problem offing anyone who comes in Chance's path. I was amazed that pretty quickly two characters I would have considered important to the story were killed off. On the other hand the one I expected to be murdered quickly held out to the end of the book where I began to think maybe just maybe she'd squeak by. I certainly never thought I'd end up pitying Chance. Chance went from psycho serial killer to pathetic soul that made you kind of wish Luna didn't hate him so much so he could maybe redeem himself. I never saw that ending coming and truly surprised to feel so sad about it. Though there are some confusions to the plot Alive at Sunset was still a win in my book. The book took me down an emotional path I would have thought was impossible for a character I thoroughly disliked. I look forward to finding out what shall come of Luna not that it's not just her. This review is featured on my blog: Writerly Bookish Stuff. Luna is trying to get her life back together after the terrible events of high school. The memory of Chance's sick obsession with her still hangs over her head, and she visits the hospital every week to ensure that he has not woken up. They say, even if he does wake, he'll have no recollection of his old life. How do they know for sure? Krantz's books always scare me. I think it's Chance's mindset that gives me the heebie jeebies. He is i This review is featured on my blog: Writerly Bookish Stuff. Krantz's books always scare me. I think it's Chance's mindset that gives me the heebie jeebies. He is irratic, hell bent on revenge, and just a psycho. You never know what he is going to do. A killer you can't escape, even in your dreams, is nightmare inducing. Luna has the right doses of denial, fear, and anger. 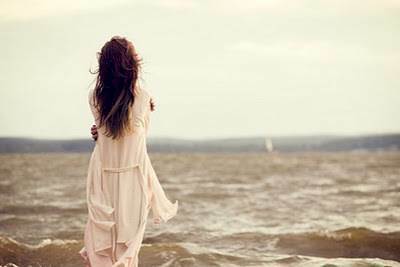 Her homelife- especially in regards to her parents- felt a little unbelievable, but it made sense to the narrative for Luna to distance herself from her past. Certain aspects felt out of place/ included to progress narrative. Surely Max would not have interrupted the funeral to talk to her? Wouldn't her best friend go to the funeral and not get ready for a date? This review has been hidden because it contains spoilers. To view it, click here. I thought this book had just as much edge of your chair action as the first one. As this story opens, we see Luna in a brand new setting, living her life after the Chance incident...and then we see Chance himself. Still in the coma. Things seem great for her, but death after death pops up once again. Then she realizes that something is wrong -Chance has woken up, and her pretty roommate is dating him. Things aren't as Max promised. Chance remembers everything, and he's out for revenge. Friend by I thought this book had just as much edge of your chair action as the first one. As this story opens, we see Luna in a brand new setting, living her life after the Chance incident...and then we see Chance himself. Still in the coma. Things seem great for her, but death after death pops up once again. Then she realizes that something is wrong -Chance has woken up, and her pretty roommate is dating him. And now the psycho levels rise.. Chance is back.. and Luna has nowhere to go.. So many funerals..phew.. People and cops are really clueless in this town !! I felt Max's character was wasted, he hardly put up a fight.. I still feel a little weird to read about the ruthless kills, but I guess it's a part of the allure.. Did I just feel bad for Chance at the end ?? Maybe, which confused me.. I really hope Luna is able to come out of all this emotional unharmed.. I don't want her to become cra-cra.. And now the psycho levels rise.. Chance is back.. and Luna has nowhere to go.. So many funerals..phew.. People and cops are really clueless in this town !! I felt Max's character was wasted, he hardly put up a fight.. I still feel a little weird to read about the ruthless kills, but I guess it's a part of the allure.. Did I just feel bad for Chance at the end ?? Maybe, which confused me.. I really hope Luna is able to come out of all this emotional unharmed.. I don't want her to become cra-cra.. 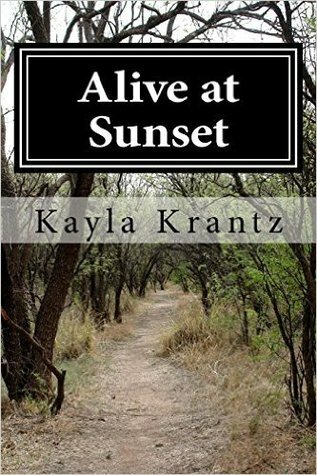 Alive at Sunset my third read from author Kayla Krantz & the second book in the Rituals of the Night series. Well-written with intricately developed characters and a creepy story-line with intricate twists & surprises as the tension & suspense ratchets up throughout the book’s length. 378 pages but reads even longer with the attention to detail written into the story. There’s a book 3 to look forward to! (RIP Marley January 20, 2014 - July 24, 2018). *Note: this review ignores typos in the book* Alive at Sunset was a great follow up to Dead by Morning. The characters felt more vibrant and fully realized, and the pacing was fast. If you enjoyed Alive at Sunset, I definitely recommend continuing the series. Looking forward to more! Not my usual genre, but carried on reading as I wanted to find out what happens. Not disappointed, a little older and still having problems. No spoilers, but thoroughly enjoyable, now onto the next. This is an amazing series. It's so well written, and I practically inhaled it, I read it so quickly! Book One was brilliant as well. I'm just now putting my review on here. I finished this a couple of days ago. I can't wait for more titles from this author! Her nemesis, Chance, is still in a coma though Luna's friend Max tries to warn her that something is wrong and changes a Alive at Sunset is the second book in the Rituals of the Night YA Paranormal series. Luna has lived through the terror and death of Dead by Morning (Book 1) and has just finished up a semester at her college. Three years have passed since the events that occurred in high school and Luna, while still a loner and overachiever, has a new roommate, Amanda, and is trying to move on. I liked this 2 book a lot and found it moved so much faster and I had a very hard time putting it down. I just had to find out what happened. I found that I felt bad for Chance as all he wanted was for Luna to love him. He didn't know exactly how to show that he loved her and I think she could have given him a chance. This review has been hidden because it contains spoilers. To view it, click here. I was so looking forward to reading the second book of this series. And it didn't let me down, it was as good as I imagined it would be. The story starts 3 years after the events of the first book. Luna is a college student now, living with Amanda whom she met in her first weeks of lessons. Chance is in a coma in a nearby hospital and Luna visits him every week to make sure he still hasnt woken up. The plot turns quite quickly, with Chance waking up and remembering everything that happened to hi I was so looking forward to reading the second book of this series. And it didn't let me down, it was as good as I imagined it would be. The plot turns quite quickly, with Chance waking up and remembering everything that happened to him. And all he wants is revenge. I dont want to spoil any deaths, but I was quite surprised by one of them, as I thought a key character would stay alive much longer. But that's why I enjoy this book so much, it is unpredictable and shows how much of a psycho Chance is. I want to talk about Amanda for a seond. I absolutely hated her. Firstly who would date a guy who has a past of murdering people (Luna pretty much told her the whole story)? Of course there might be a chance of redeeming himself, but Luna warned her so many times. And again we have this situation where someone is quite smitten by Chance and believes him over Luna. Its quite horrifying how such an awful person can play the good guy and make everyone fall in love with him. I was quite surprised that we got to see the human side of Chance. I didn't know he was possible of feeling sorry and feeling regretful for hurting Luna. I know he is obsessed with her, but usually obsession is a fine line between love and hate. I was afraid Luna might actually give in and fall for Chance, but I'm glad she didn't, it wouldn't have been Luna at all. Luna Ketz & Amanda “Mandy” Grey (BFF) are roomates & go to Bowling Green St. U.
Luna also visited patients in the hospital. She stopped by Chance Welfrey’s room he had been on life support & in a coma for 3 yrs. Luna (20) hoped he would never recover after what he did to her. Max Cazmea (longtime friend) called Luna that he ws concerned about DreamWorld. School was out for the summer. Luna left Bowling Green & headed for Lima. David Ketz (father) & Rose Ketz (mother) who had come Luna Ketz & Amanda “Mandy” Grey (BFF) are roomates & go to Bowling Green St. U.
David Ketz (father) & Rose Ketz (mother) who had come home early from Taiwan were glad to see her. Luna found Lucky (Border Collie) the next morning outside on the porch. The dog was dead. Rose called Luna her dad had a seizure & was in the hospital. Somehow David had gotten arsenic poisoning into his bloodstream. Tim Raven the manager at McDonalds interviewed Luna & gave her a job. Sarah works there also. Rose once again called Luna, her father was dead. Officer Carl Jore (Bowling Green PD) came to speak with Luna. Coronary embolism was the cause of his death. Who was Officer Jackson talking to? Luna called Max (21) but there was no answer. She left several voice mails. It was time for her to attend his funeral also. book. It was very easy for me to read/follow from start/finish & never a dull moment. There were no grammar/typo errors, nor any repetitive or out of line sequence sentences. Lots of exciting scenarios, with several twists/turns & a great set of unique characters to keep track of. 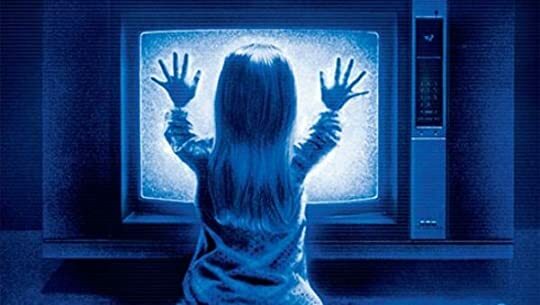 This could also make another great psychological horror movie, or better yet a mini TV. To be continued. Mich better. A very easy rating of 5 stars. Kayla Krantz's second installment in the a Rituals of the Night series, proved to be just as compelling as the first book. The first book ends with a note left behind for Luna which leaves the reader with wonder and surprise. We take up Luna's life three years later. Luna Ketz is a successful college student studying to be a doctor. College is only an hour away from Lima, Ohio, where the horrors of her past occurred. She still mourns the death of her best friend Violet's horrible death. Roommate Kayla Krantz's second installment in the a Rituals of the Night series, proved to be just as compelling as the first book. The first book ends with a note left behind for Luna which leaves the reader with wonder and surprise. We take up Luna's life three years later. Luna Ketz is a successful college student studying to be a doctor. College is only an hour away from Lima, Ohio, where the horrors of her past occurred. She still mourns the death of her best friend Violet's horrible death. Roommate, Amanda desperately tries to engage Luna in fun things, dating, shopping, etc., even though Luna likes her roommate, she simply wants to live her life quietly alone. Every week, Luna is seen visiting the hospital where her tormenter Chance Welfrey is in a deep coma. Luna wants to ensure her mind that as long as the monster is asleep he can't hurt her or kill her loved ones as he has done in her past. Then she receives a chilling call from friend, Max Cazmea, who leaves her with the warning that the horrors may be about to start again. Chance does enter her life again and with a vengeance. He worms his way into the daily and personal events of Luna's life. Every time she thinks she sees a way out, Chance cleverly and evilly blocks her yielding Luna helpless to control her own life. This installment once again ends with a note. Now this reader must wait until 2017 for the third book in this well written horror and suspense series. All I can say is: wow. I didn’t think the story could get more intense than Dead by Morning, the first book in the Rituals of the Night series, but I was wrong. The craziest part is how even the slow moments brought me to so many twists and turns that I hated to stop reading when real life came calling. Alive at Sunset took me much longer to finish than I’d wanted. I would have kept reading to the end in one sitting if given the opportunity. The plot was strong and engaging, the characters diver All I can say is: wow. I didn’t think the story could get more intense than Dead by Morning, the first book in the Rituals of the Night series, but I was wrong. The craziest part is how even the slow moments brought me to so many twists and turns that I hated to stop reading when real life came calling. Alive at Sunset took me much longer to finish than I’d wanted. I would have kept reading to the end in one sitting if given the opportunity. The plot was strong and engaging, the characters diverse and well-developed, and the ending satisfying. To be honest, I was actually a little sad at how it turned out but only because the author made me feel and understand each character’s motivations until I almost rooted for everyone to just make peace and work things out. I had to remind myself multiple times of Chance Welfrey’s many crimes because it became difficult to see him as the antagonist. But, I guess we all see ourselves as the protagonist in our own story, even if we’re the villain in someone else’s. Alive at Sunset is slightly darker than Dead by Morning, but that might have been what made it more interesting. I highly recommend this book to anyone interested in psychological thrillers and I can’t wait until the third one is published. The author really ramps this one up. This is an edge-of-your-seat psychological thriller, with horror and paranormal elements. And there is graphic violence. You get to see deep inside the head of this serial killer, and feel the fear of Luna and his victims. But the author also has you feeling sympathy for Chance, which I never would have believed I would, but I did. The characters are well flushed out, and the author leaves no stone unturned in taking you on this highly charged emotional sequel. This is book two in the series. It's all about Chance wanting revenge on Luna the perfect way for him to really annoy Luna. Is by Chance dating Luna's roommate Luna has finally put the whole mess with Chance and all that happend behind her. She is finally moving on with her life and trying to be normal until her friend Max phones her saying there's some problems and its started again. I thought book one was good but this book was even better in the series. A fabulous read. i don't think it was as well written as the first, but still kept my attention. Being in a long term come and having amnesia couldn't put a stop to chance,and his evil. I would recommend this book to anyone who is a fan of psychological horror. Proud author responsible for Dead by Morning and The Council, fascinated by the dark and macabre. Stephen King is her all time inspiration mixed in with a little bit of Eminem and some faint remnants of the works of Edgar Allen Poe. When she began writing, she started in horror but it somehow drifted into thriller. She loves the 1988 movie Heathers. She was born and raised in Michigan but traveled Proud author responsible for Dead by Morning and The Council, fascinated by the dark and macabre. Stephen King is her all time inspiration mixed in with a little bit of Eminem and some faint remnants of the works of Edgar Allen Poe. When she began writing, she started in horror but it somehow drifted into thriller. She loves the 1988 movie Heathers. She was born and raised in Michigan but traveled across the country to where she currently resides in Texas.